Created by a grieving father, Mara F. is haunted by previous Maras. One day she escapes into the world. The Solace of Monsters contrasts the creation of life with its ending. How does an artificial creature discover life? What do her adventures tell us about "natural" life and our own attempts to survive--and find solace--in the world? 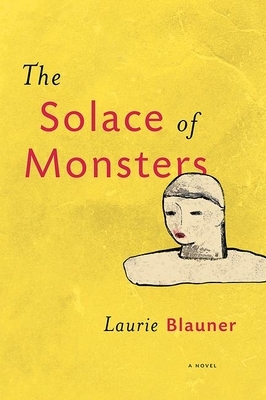 Laurie Blauner is the author of three novels and seven books of poetry. She received a National Endowment of the Arts Fellowship and Seattle Arts Commission, King County Arts Commission, 4Culture, and Artist Trust grants and awards. She was a resident at Centrum in Washington State and was in the Jack Straw Writers Program in 2007. Her work has appeared in many literary journals. Laurie Blauner is the author of three novels, Infinite Kindness, Somebody, and The Bohemians, all from Black Heron Press, as well as seven books of poetry. A novella called Instructions for Living was published in 2011 from Main Street Rag. Her most recent book of poetry, It Looks Worse than I Am, was published in 2014 as the first Open Reading Period selection from What Books Press. A poetry chapbook was published in 2013 from dancing girl press. She has received a National Endowment of the Arts Fellowship as well as Seattle Arts Commission, King County Arts Commission, 4Culture, and Artist Trust grants and awards. She was a resident at Centrum in Washington State and was in the Jack Straw Writers Program in 2007. Her work has appeared in The New Republic, The Nation, The Georgia Review, American Poetry Review, Mississippi Review, Field, Caketrain, Denver Quarterly, The Colorado Review, The Collagist, and many other magazines. She lives in Seattle, Washington. Her web site is www.laurieblauner.com.